Well you and I both know that the house is haunted, yeah you and I both know that the ghost is me. An experienced actor who had a recurring role on Friday Night Lights and appeared in several of Robert Rodriguez films, Rose-Garcia started making music as part of New York City’s “anti-folk” scene. While knocking around the underground music community in Los Angeles, he saw a performance by one-man band Bob Log III that pointed his work in a new direction. 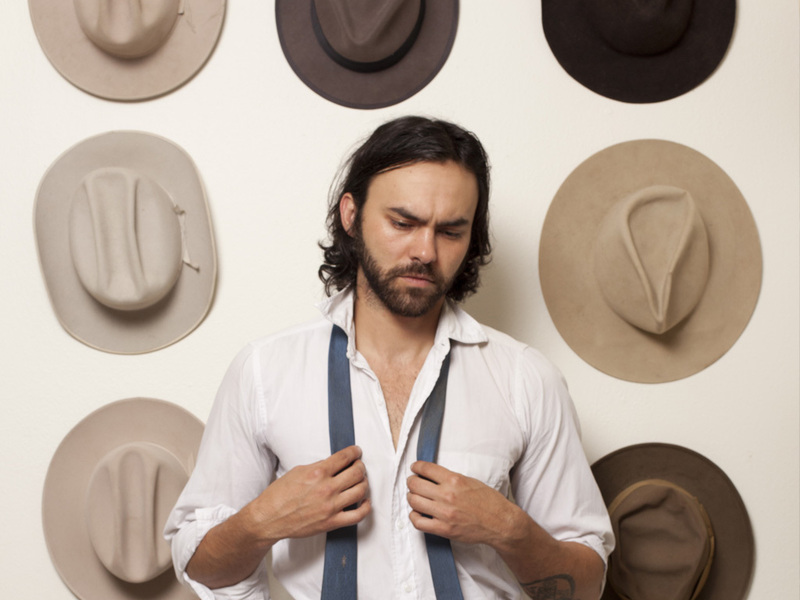 Since returning to Austin, Rose-Garcia has become so closely associated with his hometown that for the last three years, Austin has celebrated “Shakey Graves Day” by mayoral proclamation. To record And the War Came, co-producer/collaborator Chris Boosahda brought all of his gear to Rose-Garcia’s house and converted the space into a big, open studio. Though the signature Shakey Graves set-up remained the starting point, other instrumentalists came in and multiple, wildly different arrangements of the songs were attempted for what was initially planned as a double album.